He says that cycling is more than a passion "is a religion and my whole family has converted to cycling, also because in Eritrea there are about 100 races a year". He says that his dream is the Tour de France, "but also the Giro is not bad". He says that his best is "when the road goes up, but even when the road goes down I do not go wrong". He says that "we must be ready for anything", that "we must always try, that in life one never knows". So already there was tried. A tear, the group that flakes and does not heal, someone in front, all the fastest in agreement, but with a climb on the legs. 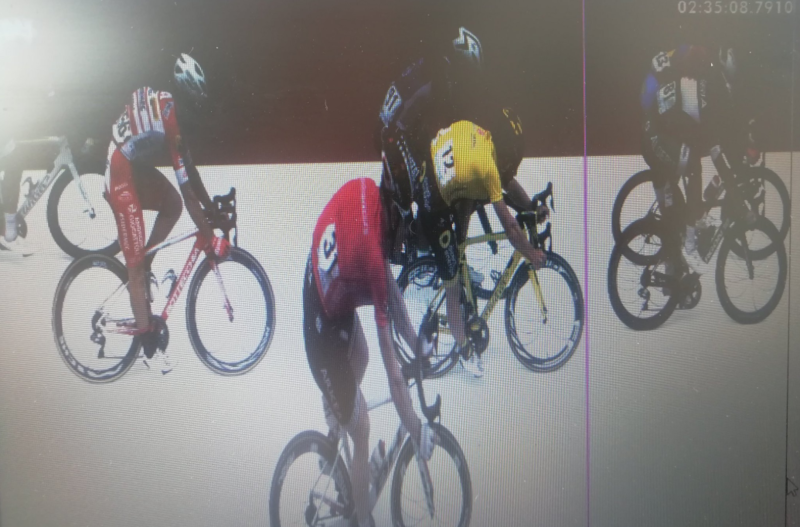 Biniam Girmay Hailu looked around: he saw Niccolò Bonifazioand André Greipel in the shooting for the victory, saw Lorrenzo Manzin eager to make the third uncomfortable, he saw Youcef Reguigui reassemble. He especially saw the goal of Franceville approaching and he did not see it any more. The Eritrean has thus accelerated, he thought well that giving oneself up is foolish. He gave his calves and legs, breath and heart, even kidneys. First under the banner of arrival of the third stage of the Tropical Amissa Bongo . First but with sigh: photofinish is served. First on arrival and first 2000 to win a race in the international calendar. Girmay Biniam Hailu as even Remco Evenepoel , the Belgian who would like to study by Cannibal, the Belgian who everyone wants to see at the gate to understand not how strong it is, but how very strong it is. The Belgian that the Eritrean has already beaten, even if just for a day, even if he avoided giving a change, even if it was a junior category, not professionalism. It was the Aubel-Thimister-Stavelot , it was August 4, 2018it was a sunny and hot day and Girmay Biniam Hailu had left with one trick: to hold the wheel of the strongest. They told him he was Evenepoel and he respected his commitment: he never lost it. Then he saw the finish line and gave him more throat than the Belgian palmer. He invented sprinter, he even detached the child prodigy and passed the line with his arms raised. Down from saddle he smiled. "I'm happy, I enjoyed it," he said.